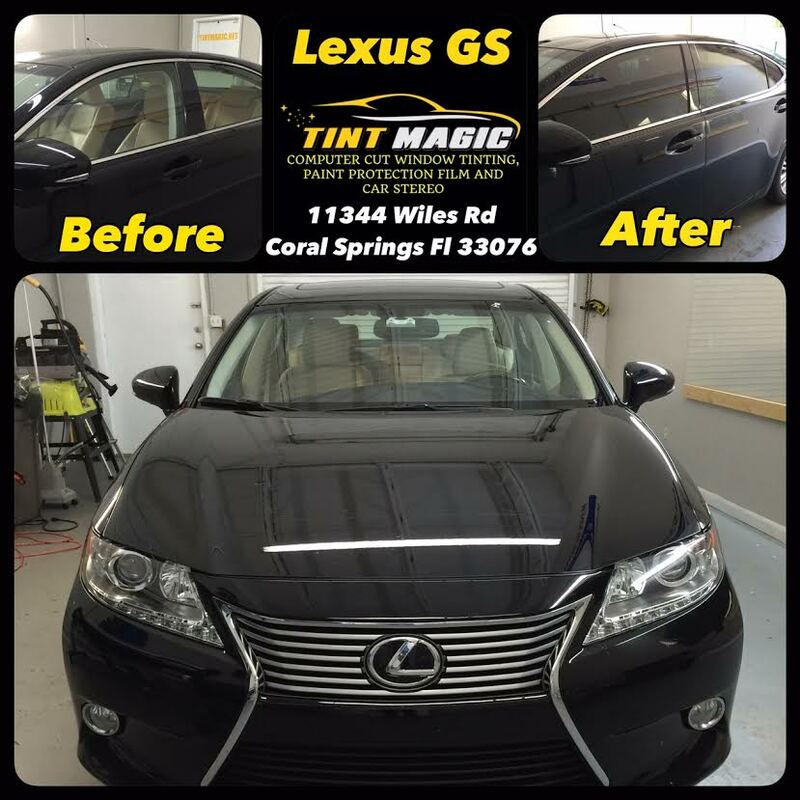 Lexus GS at Tint Magic Window Tinting Coral Springs. We have applied our Platinum Package Window Tint that reject up to 56% of the sun heat on the shade 25% all over around the windows. Please feel free to call us at (954) 840-7883. With no hint of Eastern inscrutability, Toyota boss Akio Toyoda defined the Lexus GS mid-luxe rear drive-model’s mission ages ago: Attack the European sports sedan squadron—Audi, BMW, Jaguar, Mercedes-Benz, and soon Alfa Romeo—with determination. Given that task, Lexus has broadened the GS roster by adding a value edition powered by a smaller, more fuel-efficient engine. The new-for-2016 GS200t follows Continental protocol to the letter with a turbocharged and intercooled 2.0-liter inline-four delivering a potent 241 horsepower at 5800 rpm and a persuasive 258 lb-ft of torque. This is the third in a series of four turbocharged moves. The GS200t follows the NX and IS and precedes use of this tiny terror in the RC.